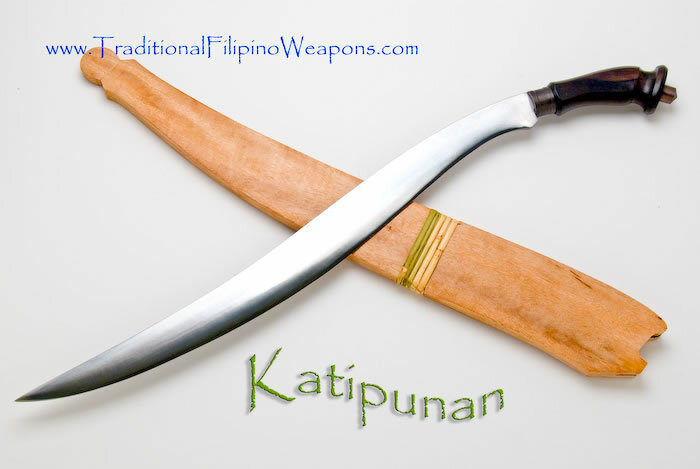 Ceremonial Knife #1 – These BIG Knives are northern Philippine ceremonial blades. 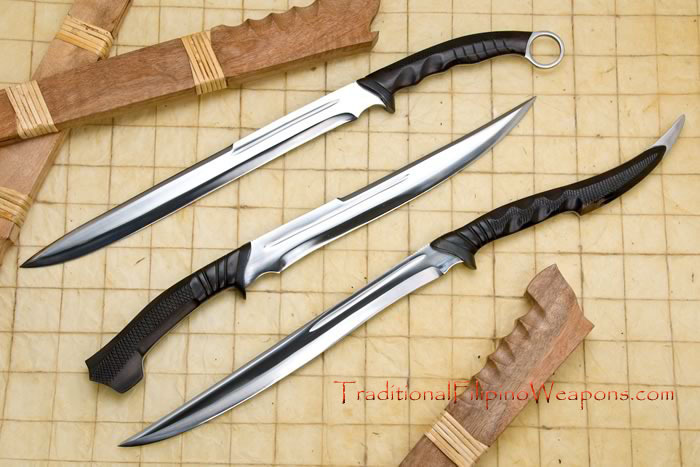 Used in the mountains of the northern region to capture and kill criminals – by decapitation! 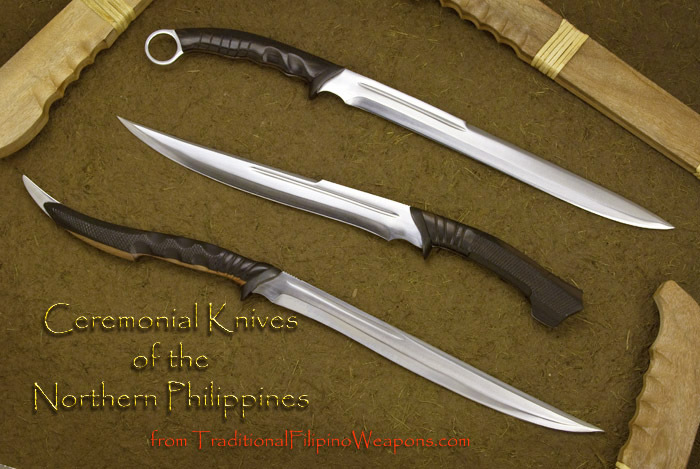 These very unusual blades must be seen to be believed! 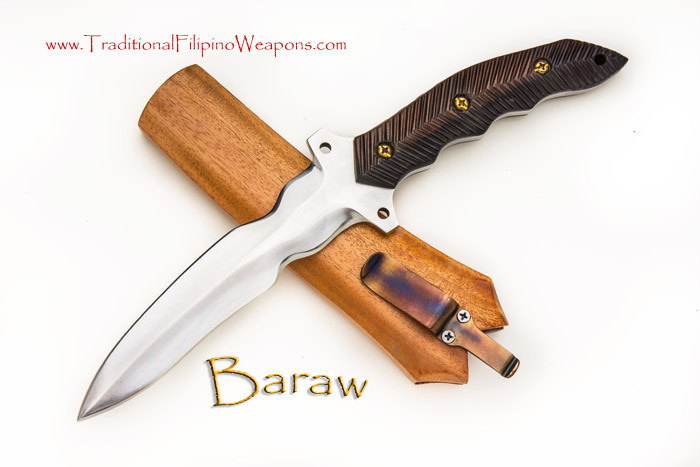 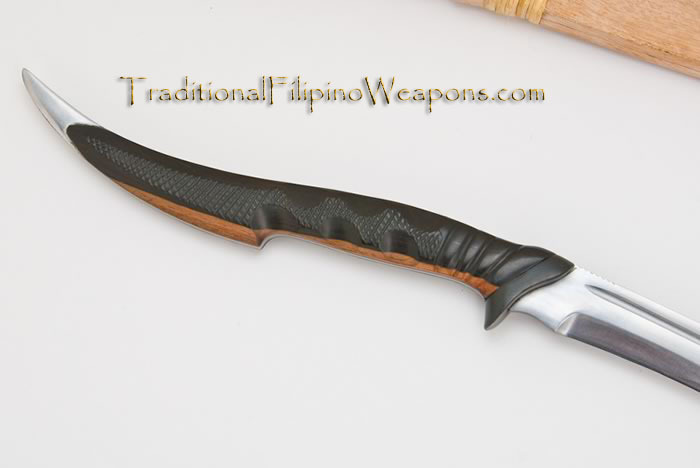 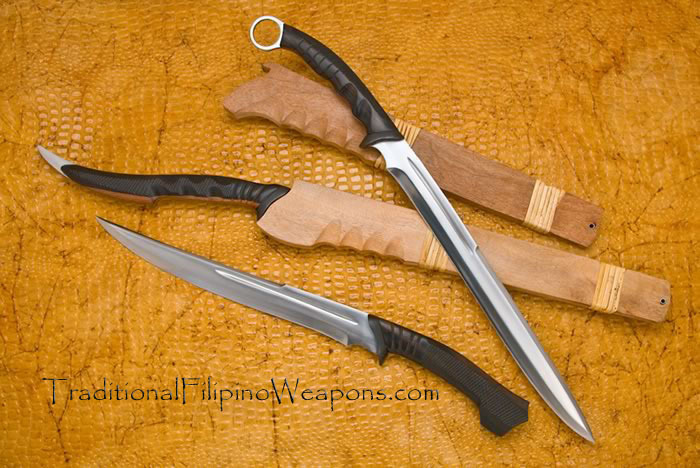 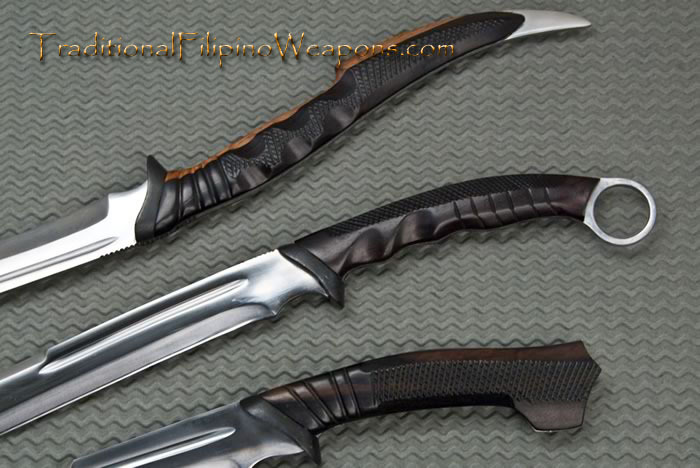 The northern blades are not as popular as the Visayan region or Moro blades, but you will not be disappointed by these beautiful and truly unique weapons – they stand apart from all others! 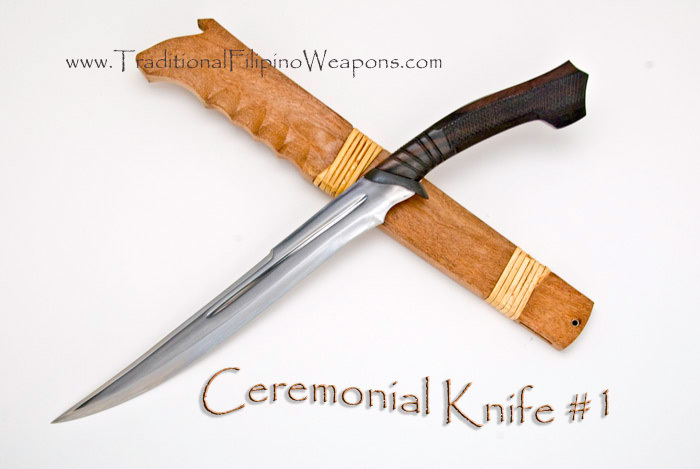 The Ceremonial blade series are available individually, or as a set of three.